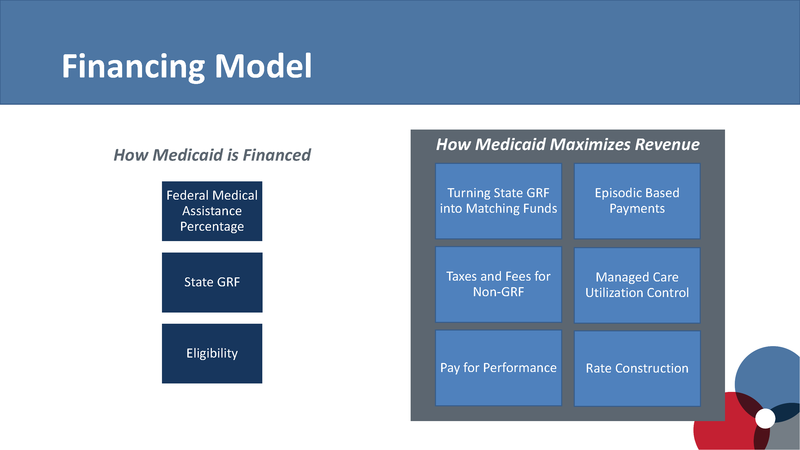 Medicaid is a complex and increasingly influential part of Ohio’s budget process. 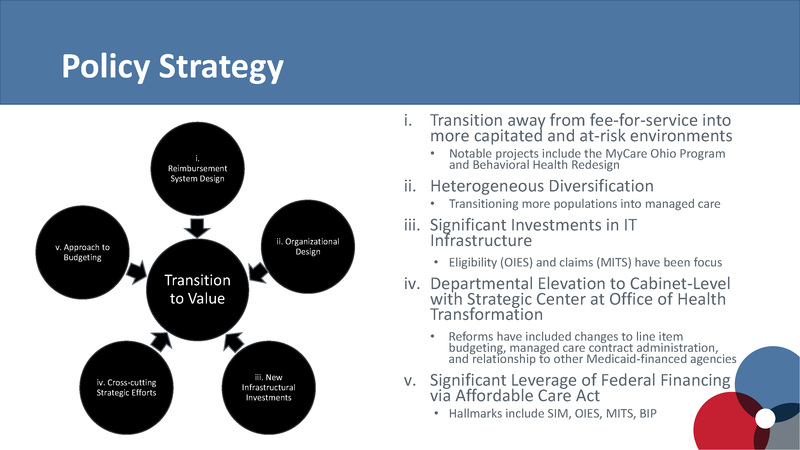 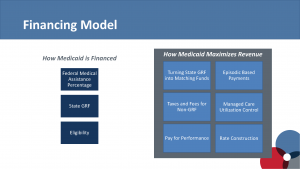 Since the passage of the Patient Protection and Affordable Care Act (ACA), all state governments have been grappling with the politics of the financing and policies of the Medicaid program, leveraging the myriad regulatory elements within the ACA to exploit opportunities electorally and in terms of delivery system design. 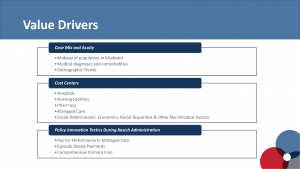 While these efforts often fall along partisan lines, particularly as it relates to the well-known ACA provision of Medicaid expansion, there are a number of ways in which the ACA provided states, and, frankly, the health care industry, with tools to enact reform. This blog represents the release of Part I: Profile. 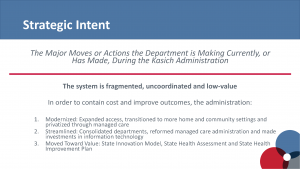 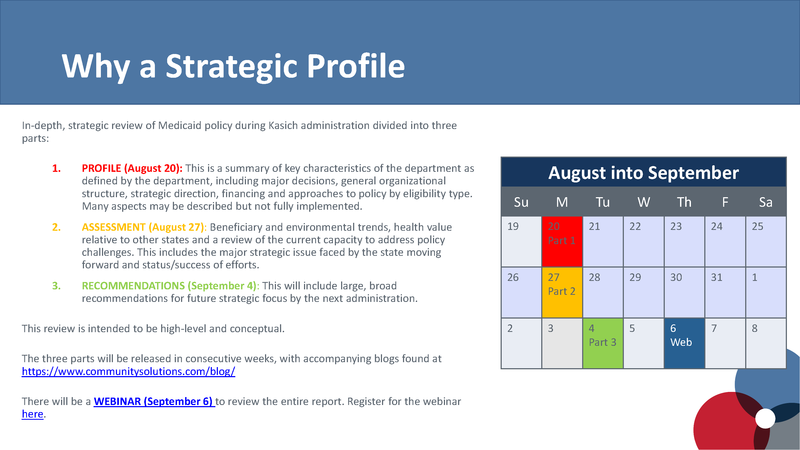 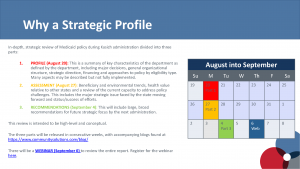 The Kasich administration has focused on reforms in terms of reimbursement, coverage and departmental design. 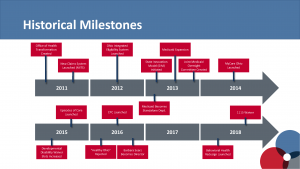 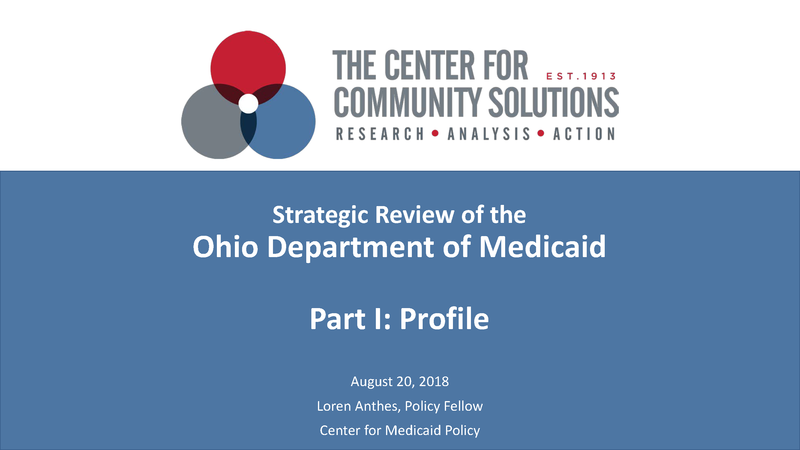 These efforts have been marked by a reliance on funding opportunities through the ACA, a strategic centering of all health policy strategy (not just Medicaid) through the Ohio Office of Health Transformation and privatization through managed care. Beyond this, the administration has faced a number of political battles, primarily stemming from the General Assembly (GA), whose members have been interested in increasing their oversight and limiting the executive branch’s administration of the program. Paradoxically, many of the types of reforms sought by the Kasich administration (coverage expansion, value-based rate construction, reducing regulatory capture), have been questioned and criticized by the legislature despite the tangible benefits to the legislature’s goals in terms of overall finance, budgeting, the economic interests of the state (Ohio’s second largest industry is health care) and public health (e.g. 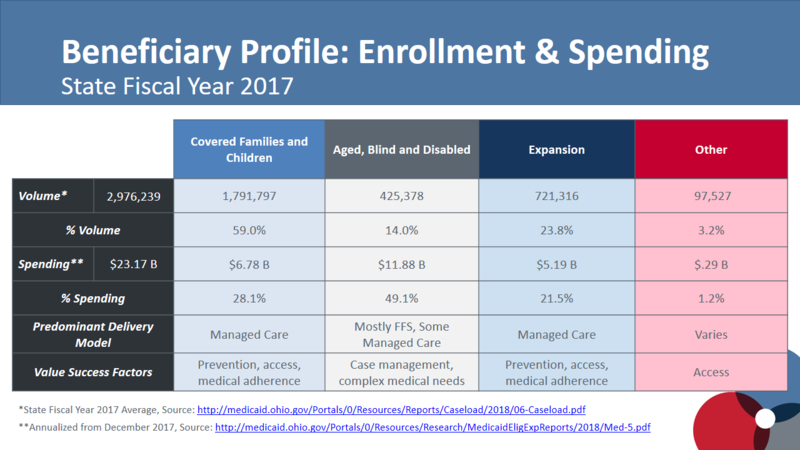 half of all births in the state are financed by Medicaid). 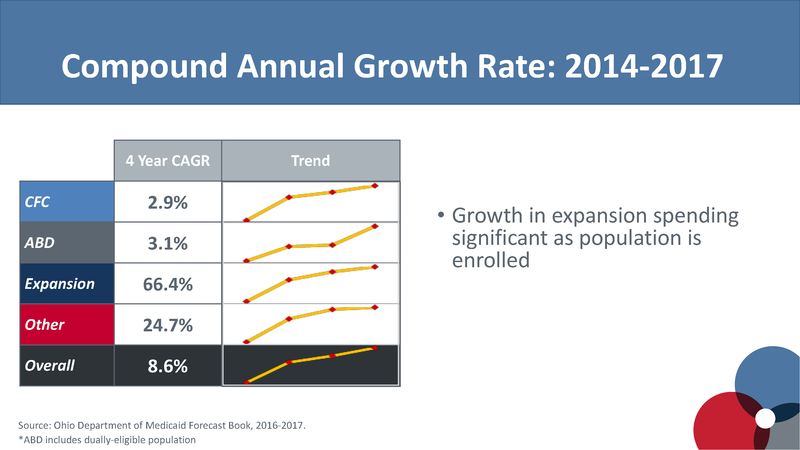 As the below presentation shows, the majority of the growth of the program as a budget item of the state can be attributed to federal funding. 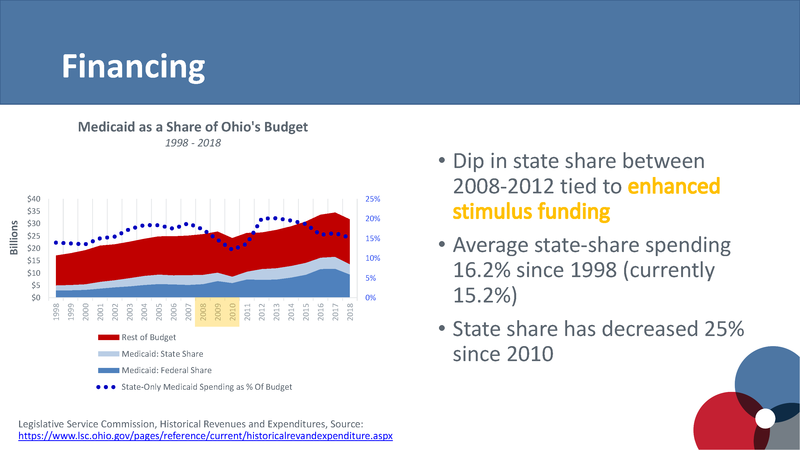 In fact, the state’s relative investment since the 1970’s has been consistent when compared to other major areas (education and corrections). 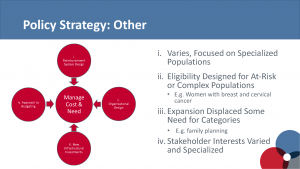 When looking at enrollment and expenditure, it is also clear that a majority of the funding goes to complex populations, including those in nursing homes, those with developmental disabilities and those with significant medical need. 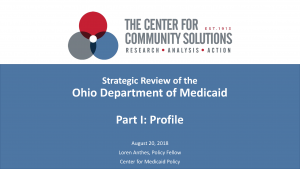 And while the Ohio Department of Medicaid has attempted to reform the care management of these populations, primarily through managed care, its efforts can best be described as transitional or, in many ways, stymied by the activities of the GA.
…the administration has faced a number of political battles, primarily stemming from the General Assembly (GA), whose members have been interested in increasing their oversight and limiting the executive branch’s administration of the program. 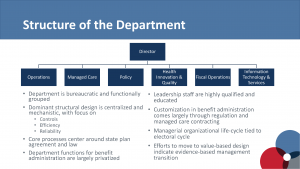 Despite the efforts to increase case management within complex populations, the department has made a number of organizational and reimbursement-oriented reforms which will have long term effects. Notably, for the first time, a number of outcomes have been tied to reimbursement, marking the first significant shift away from the fee-for-service model of care into a more value-based one. This has been marked by episodic-based payments, the comprehensive primary care initiative and pay for performance contracting in managed care. 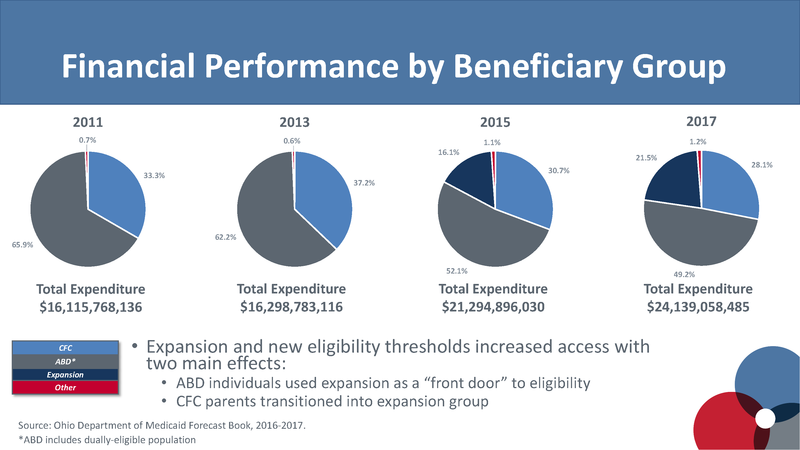 While the results of these efforts are still largely being developed, they represent a cultural acknowledgement that cost containment must include more than eligibility restriction and that the “way of doing business” must change. Scroll through the presentation below. 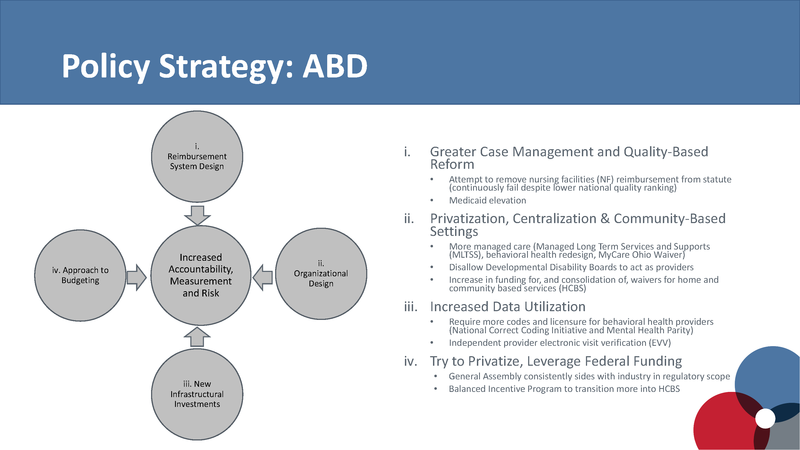 To download all of the slides click here.